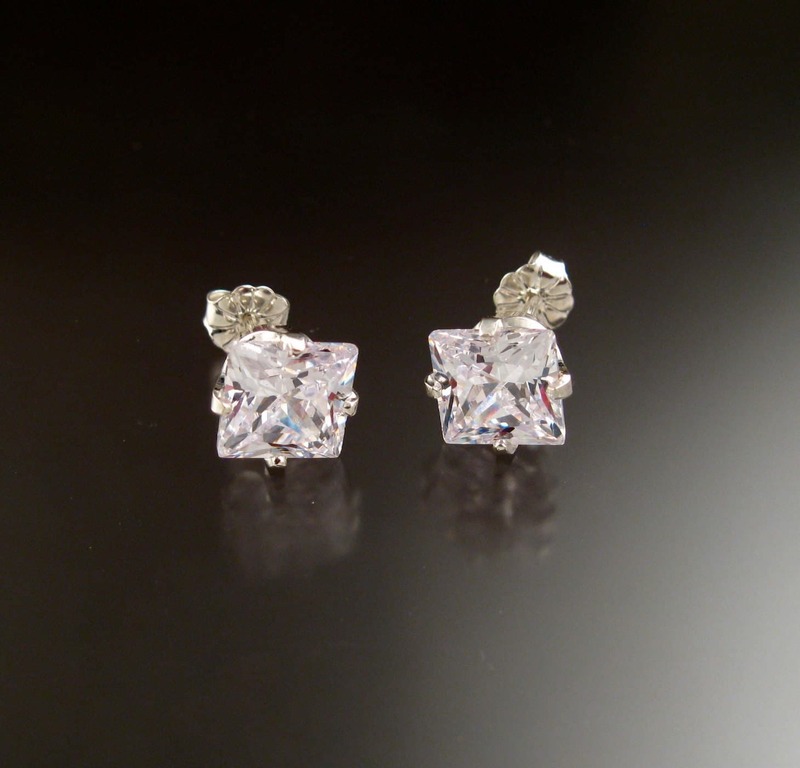 2mm 8mm x 8mm Scissors-cut white Cubic Zirconium stones look just like Diamonds. Set in a heavy four prong Sterling Silver post. Lots of fire for the buck. 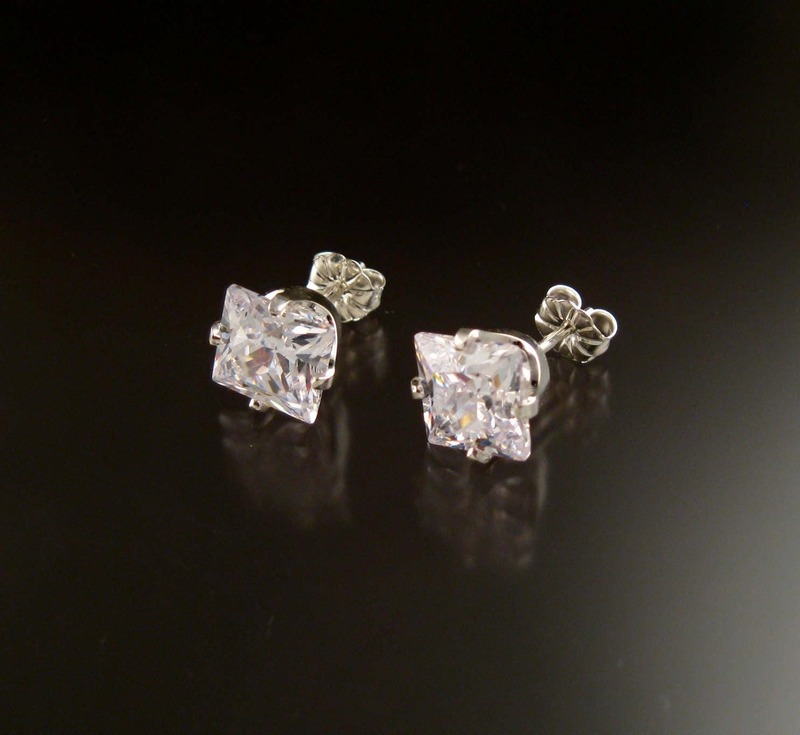 Stones are beautifully cut and polished eye-clean. 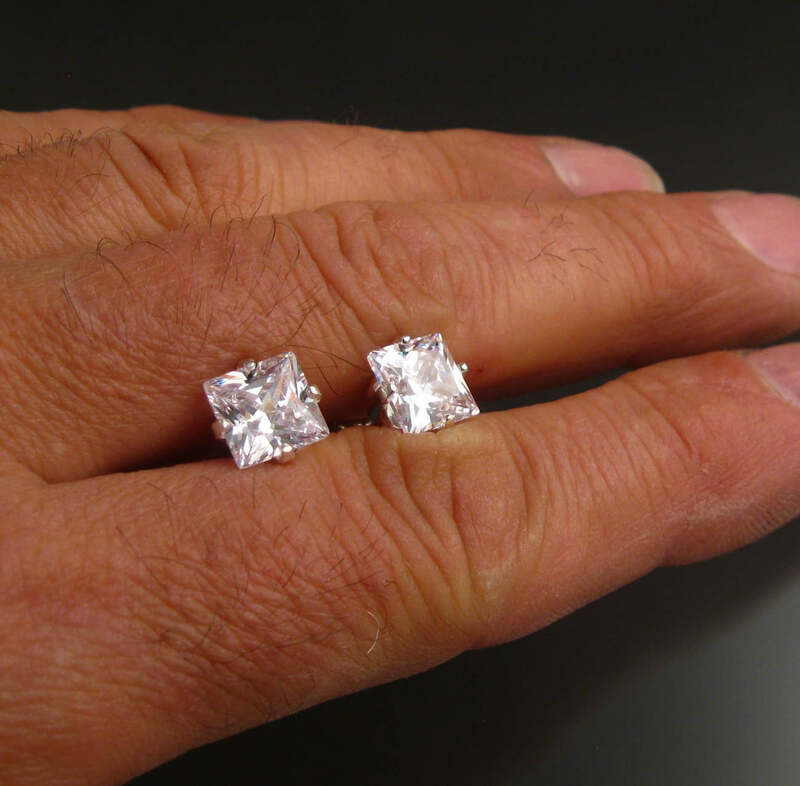 These are equivalent to about a 2ct diamond in size. 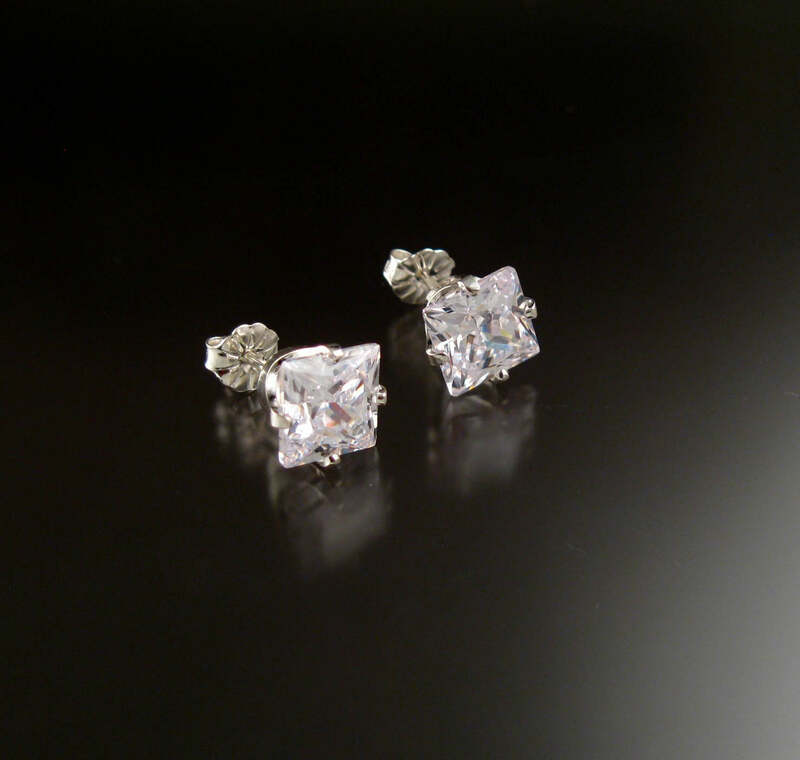 CZ weighs almost twice what Diamonds do at the same mm size so these weigh about 4ct each.